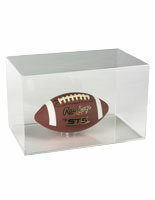 This full size helmet display case is sized as a perfect memorabilia holder for football, hockey and extreme sports collectibles. 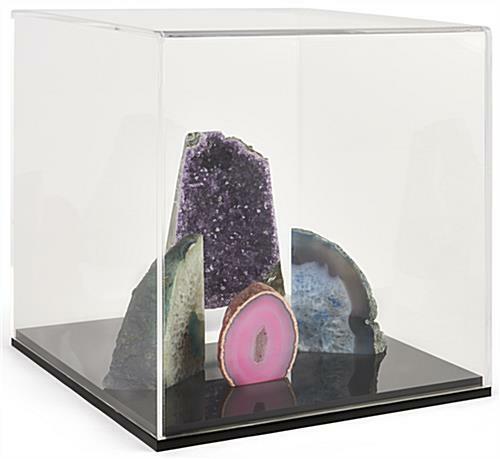 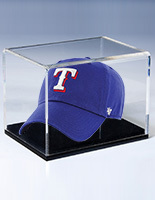 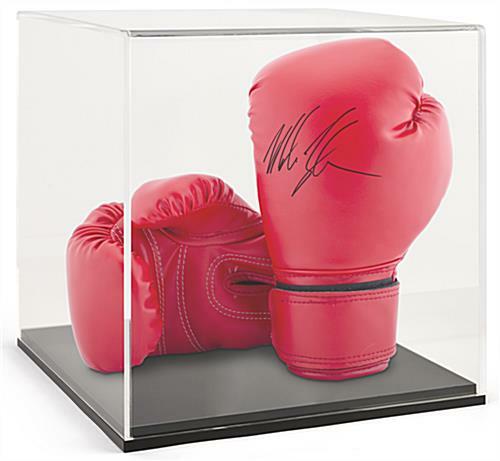 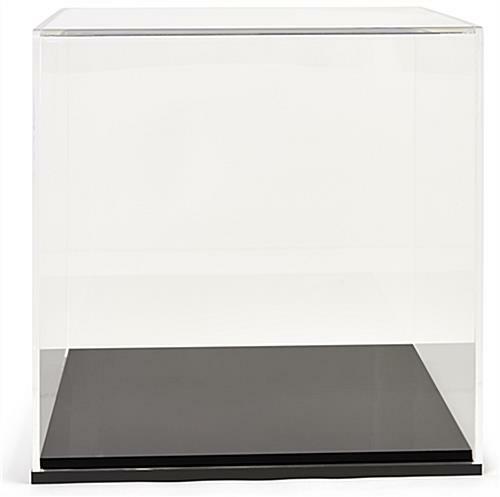 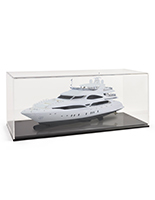 The generous size clear enclosure and acrylic base will easily hold anything from protective headgear to an autographed baseball cap as well as figurines, accessories and other treasured items. 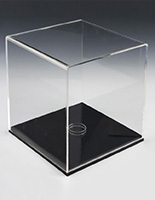 Each dexluxe helmet display case features a lift-off clear UV-resistant top that will protect contents from dust or damage while allowing full visibility and free access. 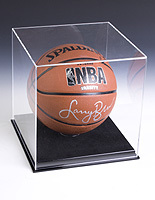 The black acrylic base comes with a round riser and offers visual contrast to highlight merchandise or memorabilia. 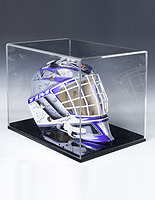 The easy-access lift-top helmet display case is a perfect choice for football, hockey and other sports fans to showcase fullsize headgear or other equipment. 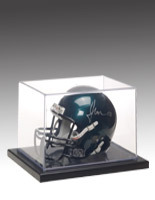 Whether used as a deluxe box for an autographed goalie mask or baseball cap or for other collectibles, this economical plastic is a versatile choice for any collector, enthusiast or even specialty retailer.